If you were at Creativity Camp in February, you enjoyed the ancient Chinese martial art qi gong, taught by our friend and qi gong master, Barbara Evans-Levine. One of the things we teach at Creativity Camp is the importance of being grounded, creating ritual, and making a solid connection to your crazy creative muse before you settle in for a sprint of writing. That’s one reason we enjoy a moving meditation every morning at Camp: to get out of our busy brains and get our blood pumping. We want to give a shout out to Barbara and encourage you to learn more about qi gong here. 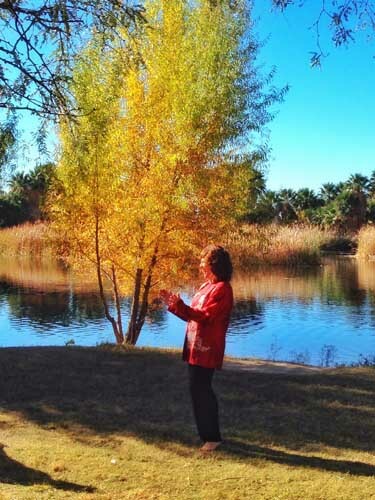 If you’re in the Tucson area, you can catch a live class with Barbara but, if not, she has a wonderful DVD of her qi gong class for sale on her website. No matter what you do, make sure to move your lovely body in a way that connects you to your Creative Spark and allows your words to flow across the page. 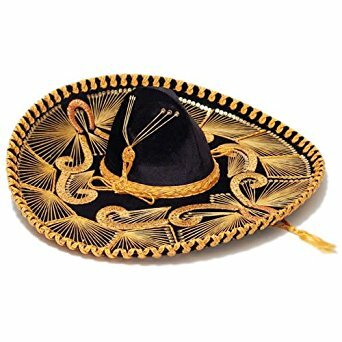 If you were at Creativity Camp in February, you know all about the Magic Sombrero. For the rest of you, here’s what happened.